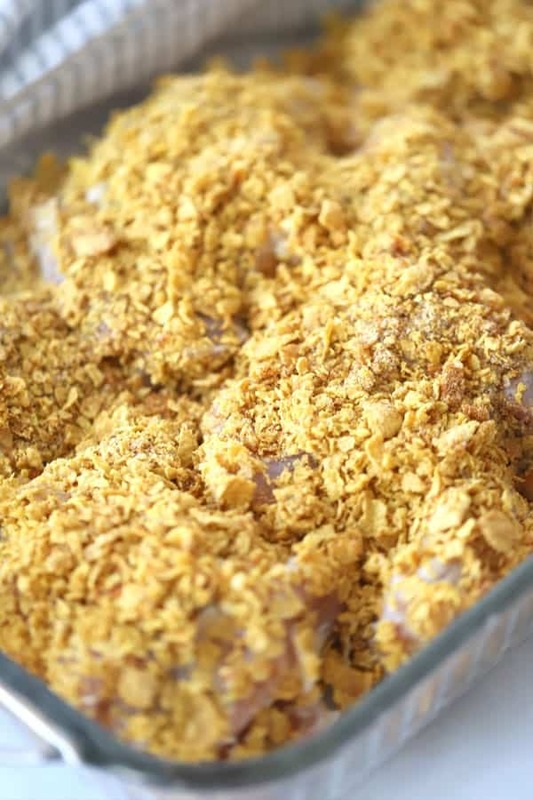 This recipe has been a family favorite for years.Â This cornflake chicken is easy to make and only takes a few ingredients.Â It’s the perfect cornflake fried chicken, perfect if you’re looking for an easy cornflake recipe you can bake in the oven. 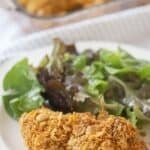 I grew up watching my Grandma make this delicious cornflake crusted chicken.Â I love it because it’s so easy and made with ingredients I usually have on hand.Â My entire family loves it because it has the crunch of a fried chicken but it’s actually oven baked. 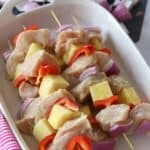 You can easily make cornflake chicken tenders with this same recipe and even cut the chicken up and roll your smaller pieces to make baked chicken nuggets. 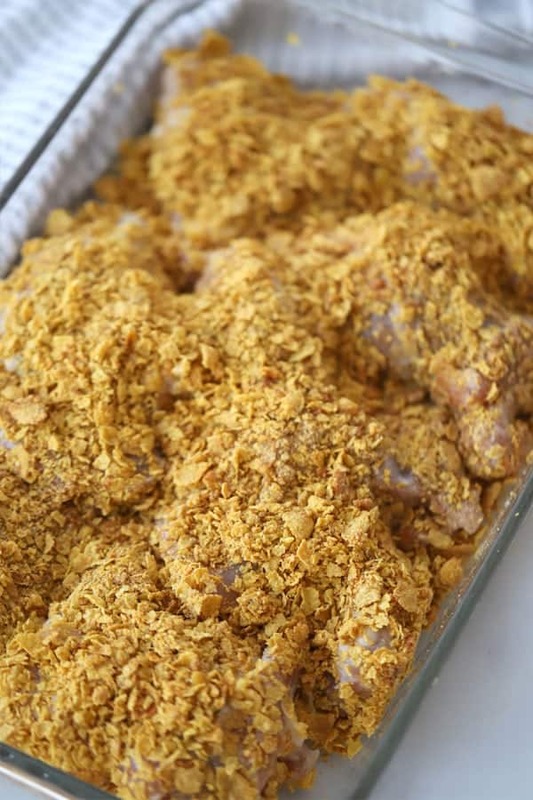 Don’t roll in cornflake until you’re ready to bake.Â Otherwise your “fried” cornflake chicken will be a bit soggy. 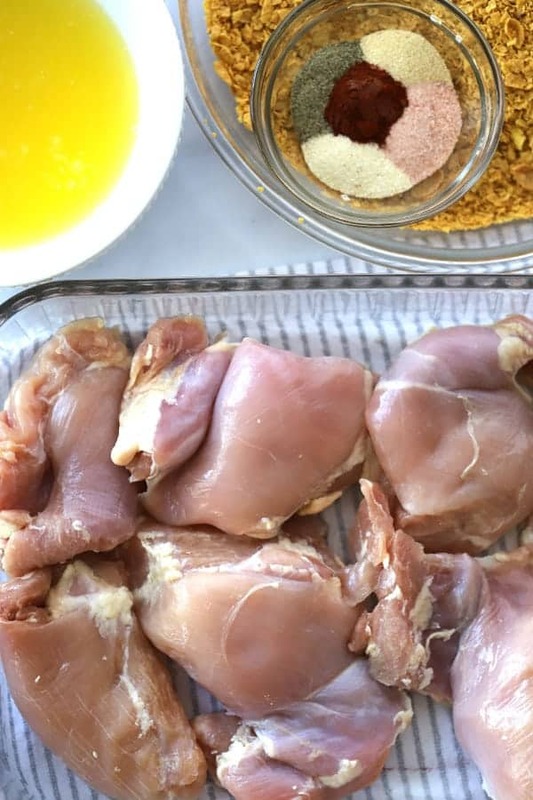 This cornflake chicken is easy to make and only takes a few ingredients. It's the perfect cornflake fried chicken you can bake in the oven. In a large ziplock bag, use a rolling pin to crush the cornflakes. Pour the crushed cornflakes in to a pie dish or something about the same size. Add the onion powder, garlic powder, paprika, salt and pepper. mix until combined. Melt butter in a dish large enough to dip the raw chicken into. dip each piece of chicken in the butter. make sure both sides are covered. Roll the buttered chicken in the cornflake mixture. 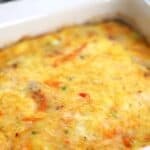 Place the covered chicken in a 9 by 13 baking dish. Bake at 350 for 25 minutes or until the chicken is no longer pink inside. Enjoy! Are you in the mood for a little something citrus?Â Check out theseÂ Lemon Blueberry Scones,Â or theseÂ strawberry cream scones. Iâ€™d love to connect with you on social media.Â Â Come find me! Welcome to The Carefree Kitchen! 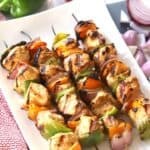 My name is Jill and I love sharing my love of food with you. 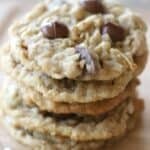 GET FREE RECIPES TO YOUR MAILBOX! 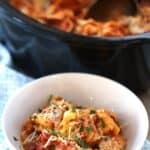 The Carefree Kitchen is where I get to share my love of food with you! 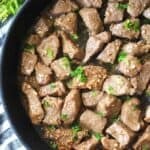 Every recipe is tested and approved by my family and friends. 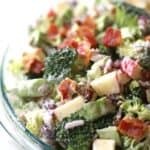 These recipes are easy to prepare, nutritious, and delicious!